Bulgaria’s Minister of Culture Vezhdi Rashidov has awarded several renowned Bulgarian archaeologists, among other intellectuals, for their contribution to the nation’s spiritual development on the occasion of May 24, the Day of St. Cyril and St. Methodius, which is celebrated as the Day of the Bulgarian (Cyrillic) Alphabet and Culture. “We are on the eve of the most beautiful Bulgarian holiday. May 24 is the holiday of culture, education, and spiritual development that brings us all together. It is the holiday of the language we speak, and of our script… A language that lets us communicate, and is necessary so that Bulgaria can exist, and so we can have this identity as a nation and a state," Bulgarian Culture Minister Rashidov has said in his statement announcing the recipients of the 2015 “Golden Age" awards. The Golden Age awards are named after the historical Golden Age of Bulgarian culture which occurred in the 9th-10th century AD after the First Bulgarian Empire adopted Christianity and developed the Bulgarian (Cyrillic) alphabet for the Old Bulgarian language, which was also later adopted for the languages of other Slavic and non-Slavic nations in Eastern Europe and Northern Eurasia. Another period in Bulgarian history, during the Second Bulgarian Empire in the 14th century AD, is known as the Second Golden Age. 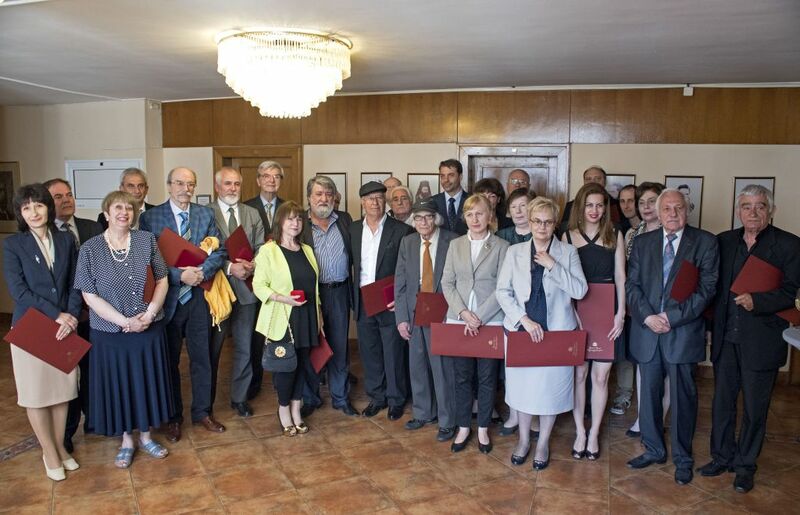 A total of 55 Bulgarian intellectuals have received different degrees of the 2015 Golden Age awards of the Culture Ministry, including several renowned archaeologists and directors of archaeology and history museums. These are Assoc. Prof. Lyudmil Vagalinski, Director of the National Institute and Museum of Archaeology of the Bulgarian Academy of Sciences; Prof. Kazimir Popkonstantinov from Veliko Tarnovo University “St. Cyril and St. Methodius”, who is famous for the discovery of the relics of St. John the Baptist on St. Ivan Island in the Black Sea off the coast of Sozopol in 2010; Assoc. Prof. Nikolay Nenov, Director of the Regional Museum of History in the Danube city of Ruse; Valentin Debochichki, Director of the Regional Museum of History in the western Bulgarian city of Kyustendil; Prof. Lyudmil Getov, former Dean of the History Department at Sofia University “St. Kliment Ohridski". The Director of Bulgaria’s National Museum of History Bozhidar Dimitrov, who is not an archaeologist but historian, is also among the recipients of the award. Of those, Lyudmil Vagalinski, Kazimir Popdimitrov, and Bozhidar Dimitrov have received the second highest degree of the Golden Age award – Golden Age Star, while Nikolay Nenov, Valentin Debochichki, and Lyudmil Getov have received the third highest degree of the award – Golden Age Seal of Tsar Simeon I the Great. After he received his award, the Director of Bulgaria’s National Institute and Museum of Archaeology Assoc. Prof. Lyudmil Vagalinski has stated that he accepts his award as a gesture of appreciation of the work of all archaeologists in Bulgaria. He has also invited the public to see two very important new exhibitions at the National Museum of Archaeology, including the exhibit of the Roman treasure of Boscoreale, which comes from the Louvre Museum in Paris in exchange for Bulgaria’s Ancient Thracian exhibition. “Museums need support for their development because they are the face of the society in which we live. The support on part of the Ministry of Culture obliges us to be great professionals in our jobs," says the Director of the Ruse Regional Museum of History Nikolay Nenov in a special statement on receiving the Golden Age award.